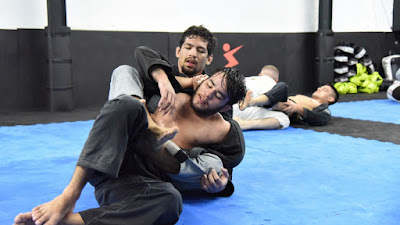 Two Brotherhood brown belts, in particular, are already making waves in their divisions and will certainly be noticed at the elite ranks as the 2018 IBJJF World Championships get underway later this month in Long Beach, CA. 21-year-old middleweight moved from Fortaleza, Brazil, to the big city of Sao Paulo in 2013 to train with Cicero Costha as a juvenile blue belt. He is grateful for his time with the Brotherhood and has been able to learn from each of its top black belts such as Yago De Souza, Mateus Spirandelli, Igor Schneider, and Rafael Mansur. The upcoming IBJJF World Championships will be the first time Caetano will compete in the United States. A Sao Paulo native, Elias has been training for three years and was awarded both the purple and brown belts from the NS Brotherhood leader. The 23-year-old started under a Barbosa affiliate but transferred in hopes of achieving his dream of becoming a world champion. The young guardeiro is no stranger to competing against the best athletes all around the world. He submitted one of the UK’s top prospects, River Dillon, with a no-arm triangle just recently at the 2018 UAEJJF London Grand Slam, where he won the -94kg division. He competed in Abu Dhabi at the UAEJJF World Pro for three years straight, from 2015-17, and at the IBJJF Europeans in Portugal. Recently, Elias actually won two Brazilian championships which would have paid his expenses to compete in Pans and Worlds but couldn’t due to the visa issue. However, he does not let this stop him from training hard and chasing his dream of becoming a world champion.